During the downturn, large and high-end penthouse apartments languished on the Dublin property market. From 2007 some were on the market for years on end with no bites. In the cases of some of Dublin’s swishest high-rise homes, aside from the occasional advert or film shoot, they were locked up and mothballed. But these days things couldn’t be more different. 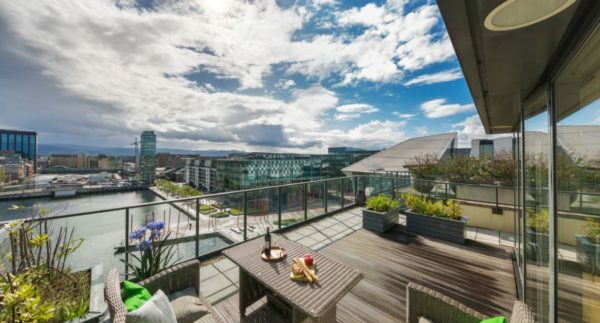 Agent Owen Reilly, who is based in the Docklands where many of these apartments are situated, recently concluded the sale of a duplex apartment on Hanover Quay for €1.5m, and agreed a sale for another penthouse on Gallery Quay for significantly over its €1.2m asking price. So the economy has lifted since penthouses were mothballed, but what else has changed to drive the prices of good penthouses over the million mark for the first time since the Tiger? First there’s cost. Many of those penthouses were constructed at the high end of the Celtic Tiger when prices were artificially high. They were kitted out with the plushest fittings which would simply not make sense to install today. Second comes the increased influx of foreign direct investment firms into Ireland, with many coming from the States and mainland Europe where large apartments are a way of life. This has enhanced both the sales and investment market, given that lettings are now in high demand at the top end for accommodating visiting executives. Third, is the factor affecting every property type in Dublin: supply. By definition you can only have a penthouse or two in every tall building and in the last few years, as it has been reported, apartment blocks have just not been economical to build. 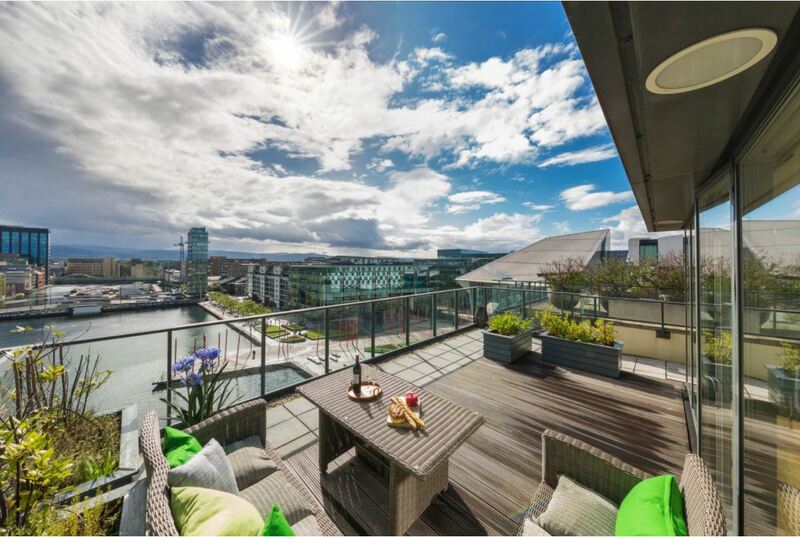 To get a taste of what’s available, we’ve listed Ireland’s top 10 most expensive penthouses. But it seems that being on top of things still doesn’t count at the high end of the market unless the address is right. 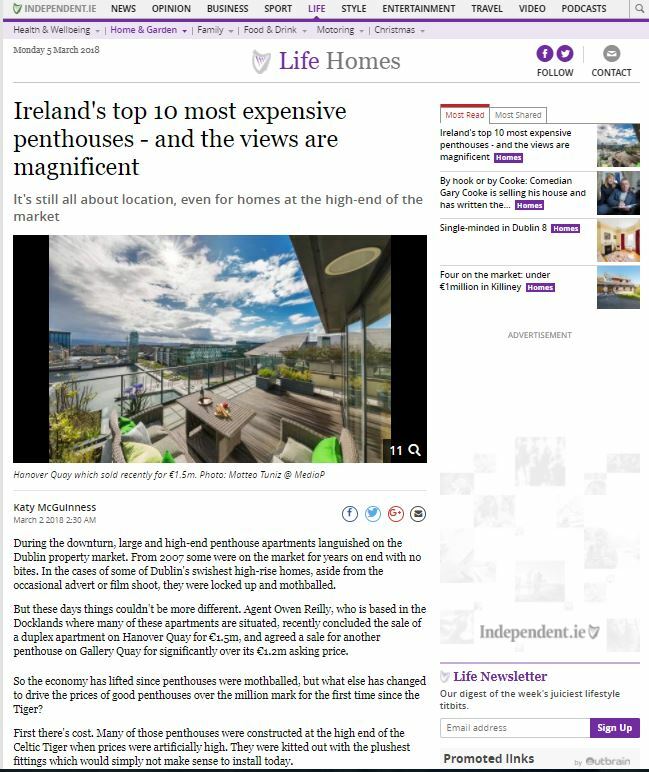 So it’s no coincidence that eight of our top 10 penthouses are in D4, and most in Ballsbridge. We’ve ranked our 10 by price. To see the article on-line, please click here.